1AV ZX11 Black Polished Face 20 inch alloy wheels (set of 4 wheels). 20″x8.5″ and 20″x10″ sizes available. 1AV ZX11 Black Polished Face is available as same size all round or staggered fitment (Wider rear), and is also available in 2 other finishes. The 1AV ZX11 is a strong load rate, multi spoke / Y spoke alloy wheel. 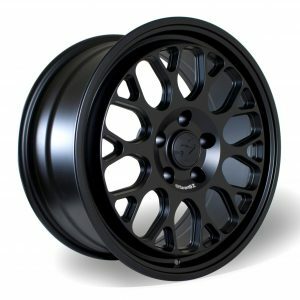 The 1AV ZX11 Black Polished Face available in various fitments including 5 Stud cars from 5×108 pcd to 5×120.6 pcd. To find out your wheel stud/lug fitment please see our Wheel PCD guide on calculating or measuring PCD (Pitch Circle Diameter). Fitments not mentioned above may be available on these wheels using spacer adaptors or vari-bolts, (please email us if unsure about this). 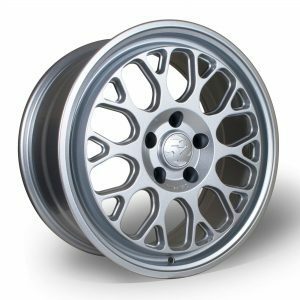 Available in ET40 offset (20×8.5) and ET42 (20×10). Load rated to 815kg per wheel. Centre bore size is 72.6mm. (any car smaller than this it will fit the centre bore). Please note: Fitting kit included for smaller centre bore vehicles. We also include Nuts or Bolts if current ones are also no longer suitable. Please Note: These wheels come as a blank from the factory, and need custom drilling to your fitment. Delivery will more than likely be 1-2 days extra. For any further information on 1AV wheels including images of wheels on different vehicles, you can vist the 1AV Facebook page.